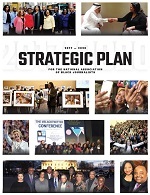 The National Association of Black Journalists (NABJ) values its relationship with affiliate chapters. We realize that chapters are a vital part of the national organization. In accordance with the NABJ Constitution and Operating Procedures, all NABJ affiliate chapters must complete an annual Chapter Audit. Audit form below is due to the NABJ office by November 1st . The national office will review the materials to ensure that the audit is complete and in compliance. The audit can also be mailed; downloadable forms are available at http://nabj.site-ym.com/?ChapterForms. Chapters that fail to submit the audit by the deadline will be placed on probation and may be subject to censure by the NABJ Board of Directors. The probationary status will be lifted once the audit is received and approved. President's Full Name *Candidates for chapter president and/or board chairman and vice president(s) must be student members of NABJ. Advisor's Full Name *The student chapter advisor, must be a full-time journalism professor, a full member of NABJ, or a professor who is an associate member of NABJ. Membership status will be verified. Board Member Roster *Roster should include full names, mailing addresses, and emails for all officers (Vice President(s), Treasurer, Secretary, Parliamentarian, and Advisor). Note: Candidates for chapter president and/or board chairman and vice president(s) must be student members of NABJ. The student chapter advisor, must be a full-time journalism professor, a full member of NABJ, or a professor who is an associate member of NABJ. Membership status will be verified. Word document format requested. Financial Officers *Please list the names of officers with counter-signature authority for all bank checks, fund distribution, purchases, etc. ConstitutionUpload a copy of the constitution if revisions have been made since last submission. Calendar of EventsContact the national office to promote your upcoming events on www.nabj.org. Chapter Member Roster *Roster should lists each members' name, school classification, and major. Note: Upon annual renewal -- the organization must show two-thirds of the affiliate members are eligible for NABJ membership as student members. Word document format requested. Membership Application *Upload a copy of your membership application indicating chapter dues and membership categories. Budget/Fundraise *Budget, fundraising strategies and goals - What budget goals do you have for the following fiscal year? What are your strategies for reaching these goals? Grant ReportNABJ Chapter Grant report - Did you receive a chapter grant this year? If so, indicate how much. Did the chapter submit a report following the event? Has developed adequate bylaws/constitution and elected board of directors. Maintain regular communications with members (i.e. newsletters, fliers or email). Completed and adopted a fiscal budget for the following fiscal year. A chapter membership roster that lists each members school classification and major. 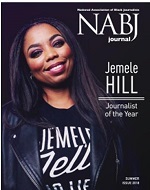 Chapter has shown two-thirds of the members are eligible for NABJ membership. Chapter president and vice president(s) are current NABJ student members. Chapter advisor is a current NABJ full or associate member.